Congratulations to Fireman Tony! 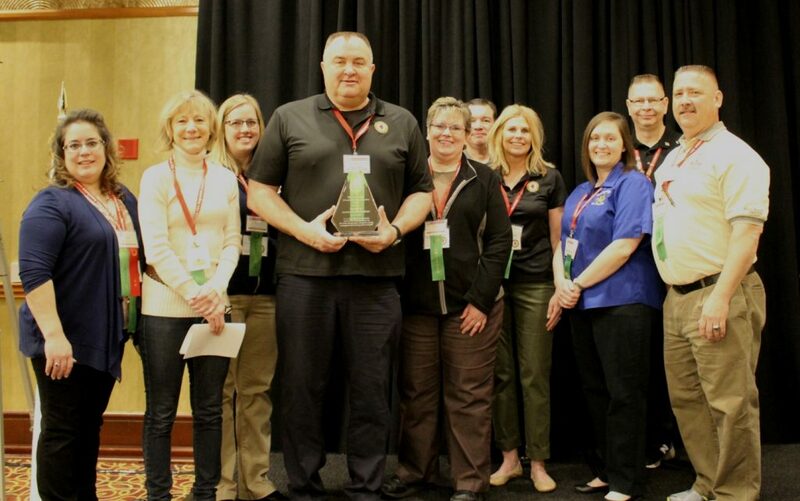 The Illinois Fire Inspectors Association’s Fire & Life Safety Committee presented Tony Rodkey the 2017 Lonnie Jackson Fire & Life Safety Education Award at the Combined Conference in Peoria. The award recognizes his unselfish dedication to the mission of fire and life safety education for the fire service through program development, sharing, encouragement and mentoring others in the field. In photo from Left to right: Cindy Wilson-Minooka FD, Marsha Giesler-Downers Grove FD, Marissa Schrieber-New Lennox FD, Tony Rodkey-Countryside Fire District/IFIA Lonnie Jackson Fire & Life Safety Educator Award Winner, Mary Ludeman-Plainfield FD, Steve Lorenda – Tinley Park FD, Betsy Dine-Orland Park FD, Dawn Burkhalter-Manhattan FD, Don Huenecke-Roberts Park, Ed Dunne-IFIA President/Evergreen Park FD.